MANILA — Seeing singer-songwriter Noel Cabangon in a suit for his “Himig Ng Pag-ibig” concert and you immediately know that you are about to witness a different musical experience. 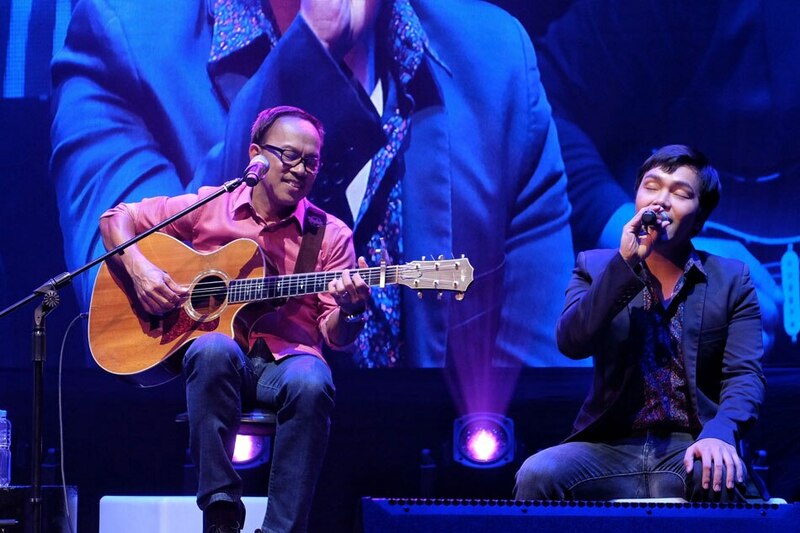 The jampacked pre-Valentine’s Day show was held Wednesday, February 13, at the Music Museum. 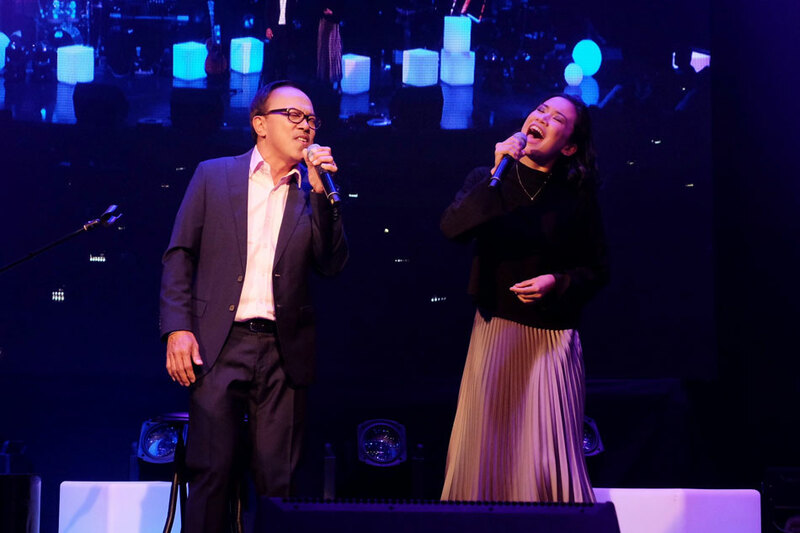 Though looking a bit more dapper than his usual casual outfits, Cabangon’s sincere vocals and timeless musicality were still in full display during the concert, produced by Ogie Alcasid’s A Team. 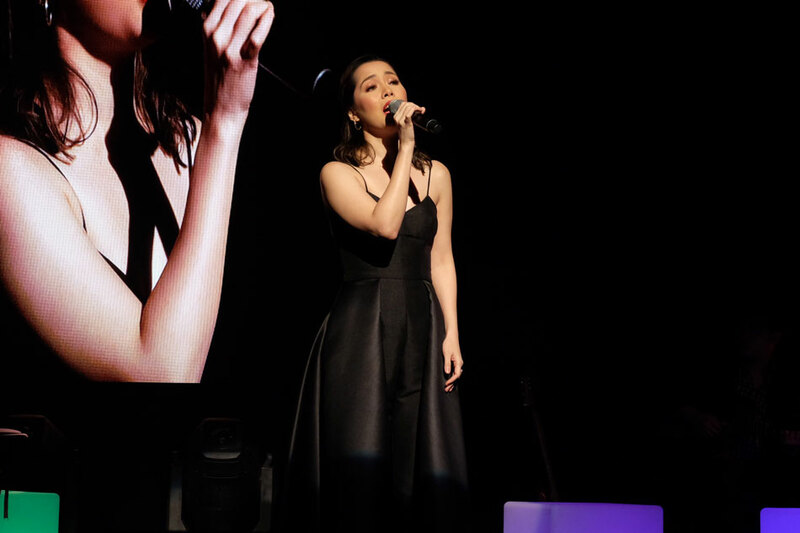 “Himig Ng Pag-Ibig,” according to Cabangon, is a celebration of the many faces of love through timeless, memorable love songs. 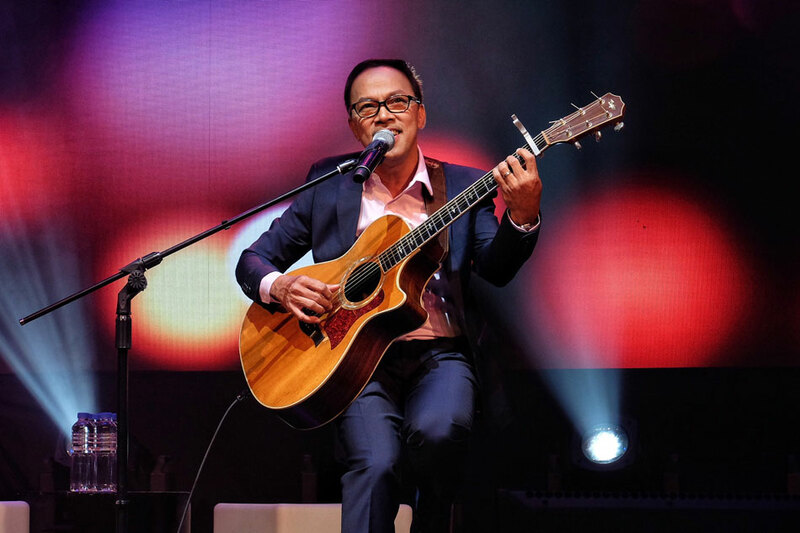 He opened the show strongly with a string of OPM iconic hits – Basil Valdez’s “Nais Ko,” and “Ngayon At Kailanman,” Rico J. Puno’s “Sorry Na, Pwede Ba,” and Rey Valera’s “Kahit Maputi Na Ang Buhok Ko,” also one of Cabangon’s biggest hits from his super successful “Byahe” album. 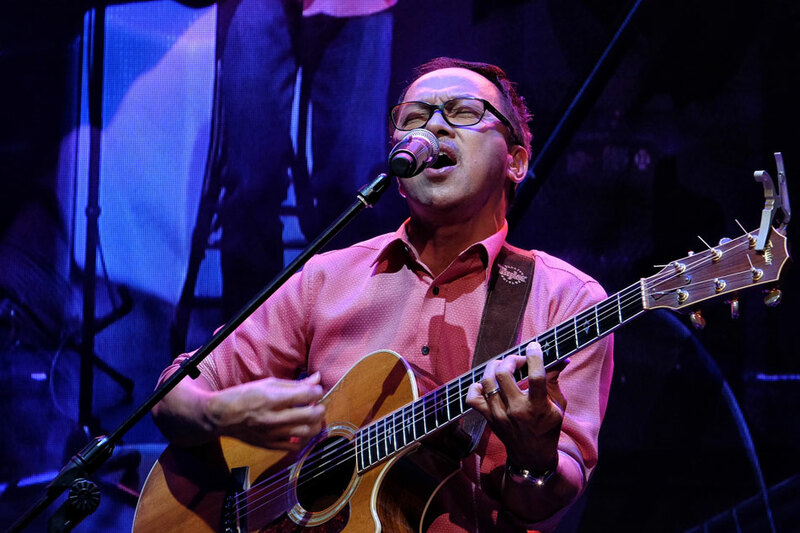 The past years has solidified Cabangon’s track record as a multi-platinum recording artist with the hit “Byahe” series, and tribute albums to Ryan Cayabayab and The Apo Hiking Society. These albums feature him giving his own flavor to previously released hits. 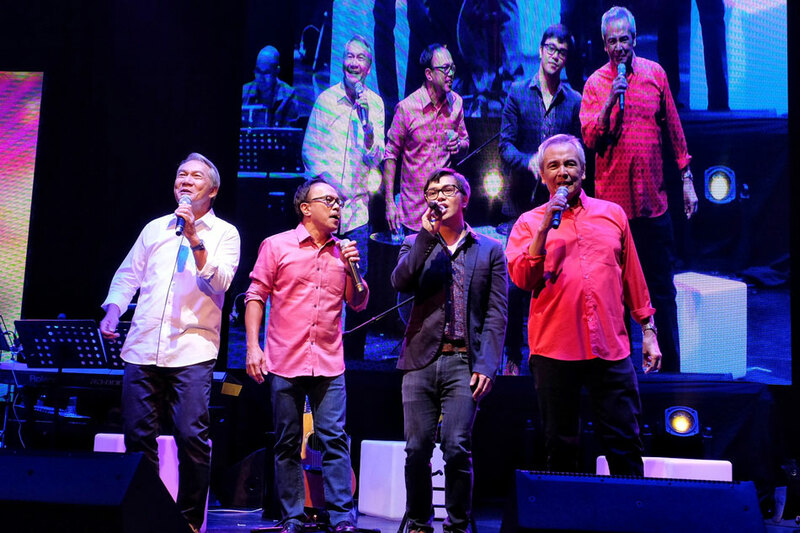 Fittingly, two members of the legendary Apo Hiking Society, Boboy Garrovillo and Jim Paredes, were called in to perform a medley of some of their biggest “love” hits – “Nakapagtataka,” “Tuyo Nang Damdamin,” “Pag-ibig,” and “Ewan.” This number was warmly welcomed by the appreciative audience. Cabangon surprised everyone with the inclusion of “The Greatest Love of All,” which, of course, talks about self love, in the repertoire. For the encore, he obliged to perform his signature song “Kanlungan” to the delight of his fans. 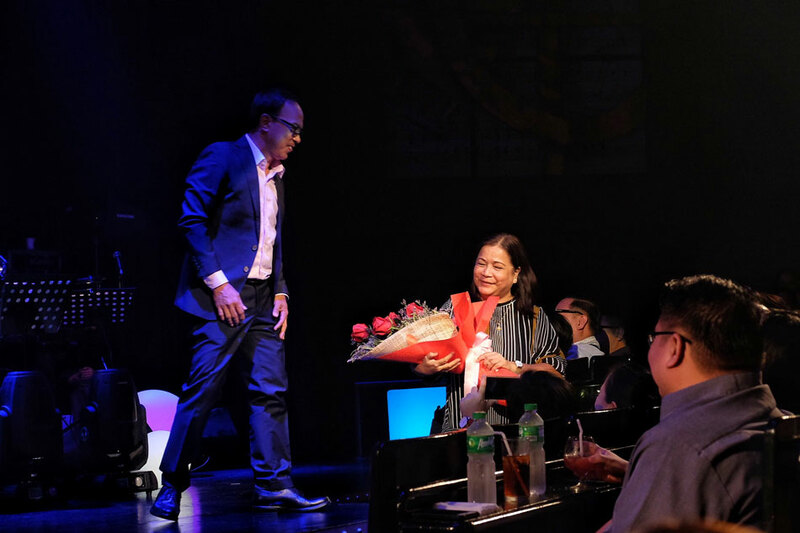 “Himig Ng Pag-Ibig,” with stage direction by Paolo Bustamante and musical direction by Marlon Barnuevo, was a sentimental celebration of the immense power of love and music.